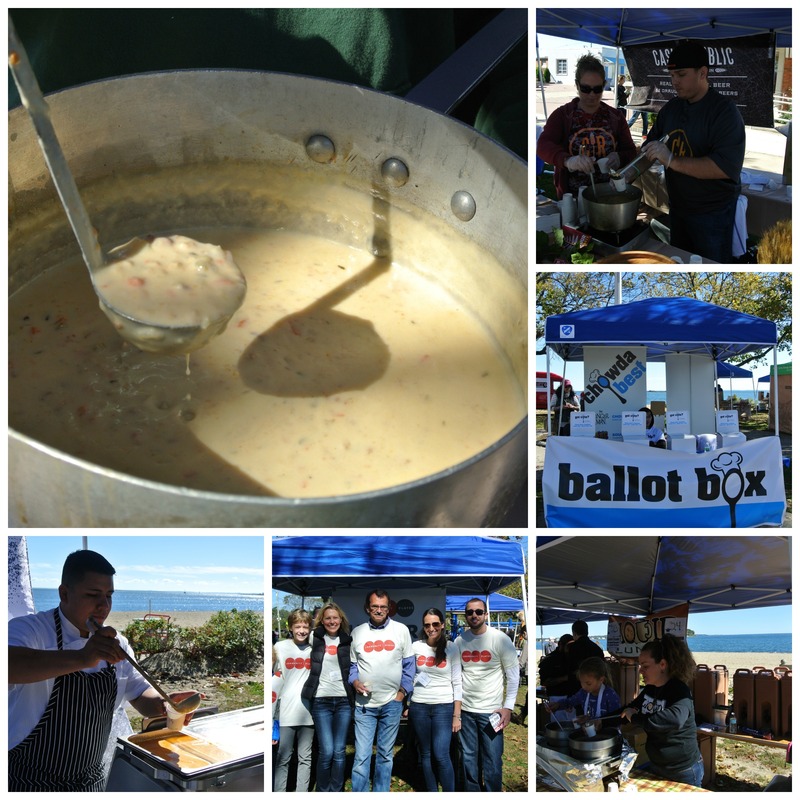 What Creative Chowders and Soups/Bisques Are Cooking at Chowdafest 2015? Chowdafest is right around the corner, and you’ll want to check out this one. It’s gonna be bigger and bad-assier than ever, helped out by the new location: Sherwood Island State Park in Westport. From 11-3 on 10/11 you taste killer chowders and soups from New England and even, in one case, Seattle . . . then you vote for your favorites. The winners will go down in fame and will have definite bragging rights. It’s funny to look at the humble start of Chowdafest which has exponentially grown each year to include more soup-slurpers and more restaurants throughout Connecticut. So, it would seem only right that the next place to expand would be having restaurants throughout New England compete to see who makes the best soups, bisques, and chowders. And, with that change also comes the change of location: Sherwood Island State Park in Westport! Yup, mark it and mark it well: Sunday, October 11 is the day when you’ll get to taste the best of the best. Tickets are $15 for adults or $5 for kids 6-12 with no charge for parking. With your ticket, you get a spoon for unlimited tastings, a ballot to help vote in your favorites from 5 categories. 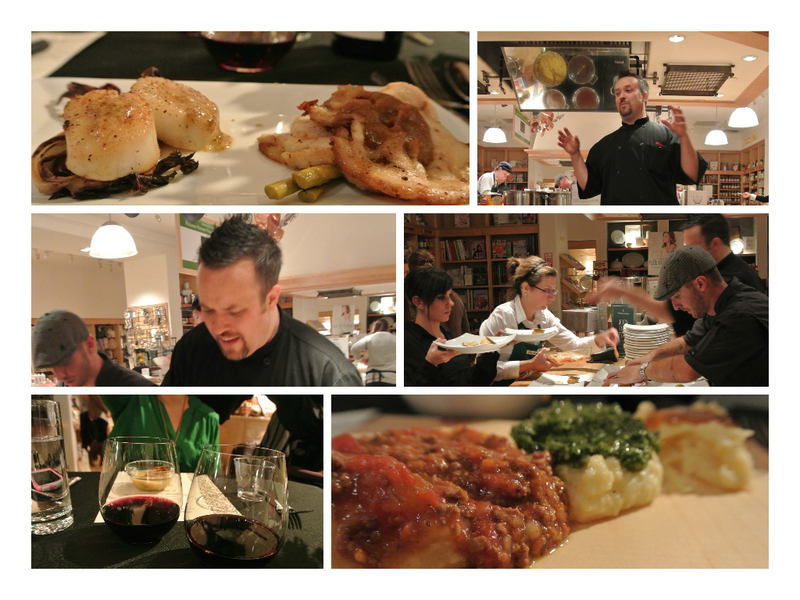 Chef Mogan Anthony of Locali in New Canaan at his Mura Ramen + Gastropub Pop-up! Picture from Mura Ramen Facebook page. Most people relax when they go on vacation, but that’s not true of everyone. Quite often, we see chefs take holy pilgrimages to countries that inspire them and guide their cooking. Some might travel to Italy to learn the art of pasta making, some might visit France to learn how to make the most perfect pastries, and some might travel to the Far East to delve deeper into the world of ramen. Big news for SoNo: South Norwalk Buzz just reported that Mecha Noodle Bar of Fairfield will be opening up a second spot and taking over the Pasta Nostra space at 116 Washington Street. Not only will this be a big game changer in SoNo by adding more variety of food, but it helps to keep the dining scene alive more than ever. With this expansion, this marks the third restaurant from the same owners including Pho Vietnam in Danbury. We don’t have any more information at this time, but when we do, we’ll be sure to share it with you. In the meantime, you’ll just need to practice your slurping and your ramen skills at their other two spots. Oh, and if you’re wondering what has happened to Pasta Nostra, don’t worry devotees: it’s evolving and will soon reopen down the street at 20 North Main Street as Bruculino. One of our favorite chefs here in Connecticut is hosting another event in his Dinner Underground series, but this time around it’s in a brand new spot. Yup, Chef Plum and the Plum Luv Foods crew will be taking over Edmond Town Hall (45 Main St.) in Newtown on March 8 from 7 until 11:30. What can you expect? Well, to be frank: an awesome time. We’ve been to many of Plum’s pop-ups (Butcher’s Best, Williams-Sonoma, and his most recent Sourcopia at Two Roads) so we’re kinda experts. Actually, that kinda makes us groupies, huh? You can expect excellent service, great food and great wine pairings to go with each course. And, when you leave, you’ll actually leave full because portions are always nicely sized. It’s hard to think of anything that’s more amazing or more comforting than a hot bowl of soup on a cold, bone-chilling day. It warms your body, and it sure as hell warms your soul. And, that’s exactly what Ali Rakowski of Stamford thought when she put together a brand new cookbook, Bowls of Love, that features 49 soup recipes. Click through to see a full album of competitors, soups, and other good stuff! This past Sunday just might have been the perfect fall day. The air was crisp (but not too cold), the sun was shining bright, and the leaves had just started to flame into color. Oh, and it just so happened to be the day when Chowdafest scuttled down by the water at Calf Pasture Beach in Norwalk. The same Chowdafest that started off at a church, then at a school, quickly grew to Webster Bank Arena in Bridgeport, then grew so big this past February that they needed to expand to an even bigger venue…and that takes us Chowdafest VII!